The B.E-Metallurgy Bachelor-Program in Metallurgy Engineering-Distance Education is a four year course which can be attempted after the 12th standard junior college (10+2) or its equivalent. This deals with the procedures for extracting metals from ores, purification and alloying of metals and the practical area of creating useful objects using metals. This is used in material science. Companies from all the sectors whether public or private can recruit metallurgy graduates on their rolls to act as entry level metallurgists. A lot of companies both public and private offer jobs to these graduates including BSNL, DRDO, DMRC, HAL, Indian Railways, etc. 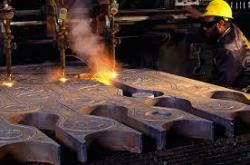 Metallurgy has evolved such that it has wide applications both in the application and the research side. This course imparts knowledge about metals and their behavior to students studying it. NIMT - Neptune Institute of Management and Technology offer Bachelor Program in Metallurgy Engineering through Distance Education mode.